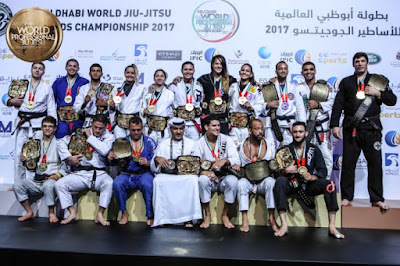 Jiu-jitsu.News: Ukrainian fighters returned with a triple victory from the Abu Dhabi World Cup! 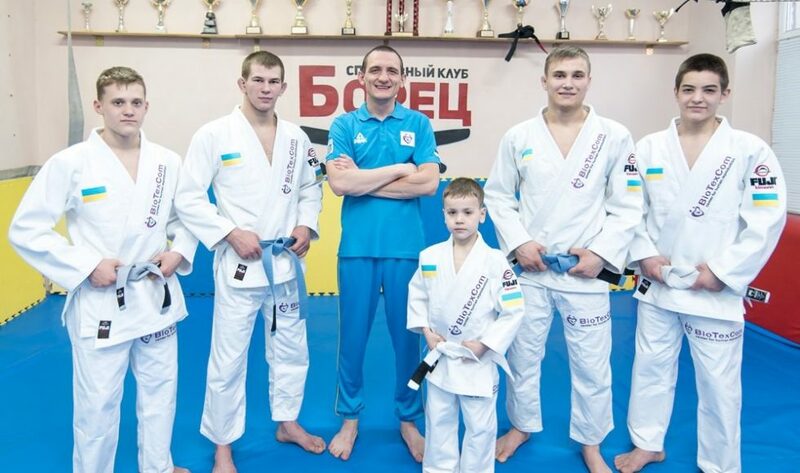 Ukrainian fighters returned with a triple victory from the Abu Dhabi World Cup! 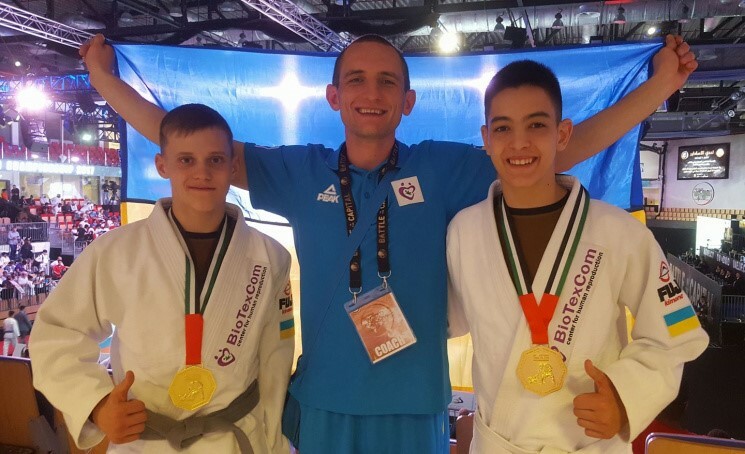 Young sportsmen from the SC «Borets» / ZR Team – Serhii Krasovskyi and Serhii Rusnak became the world champions 2017 among the Juveniles at the Jiu-Jitsu Championship in Abu Dhabi!bout seven thousand sportsmen of different age groups from more than 100 countries around the world have visited Jiu-Jitsu Championship that took place in Abu Dhabi. Ukrainian fighters went to the capital of the United Arab Emirates with a competitive spirit and being highly trained. At the championship 14-year-old Serhii Krasovskyi and Serhii Rusnak had four fights and won all of them confidently. The team coach Ievgen Skyrda says: “We coped with the task 100%! Despite the fact it was the first championship of such high level for our guys they coped with nervousness and showed the real power of the Ukrainian fighters”. Previously a run of success was opened by 7-year-old Nikita Petushinskyi. He is also a part of the SC “Borets”. 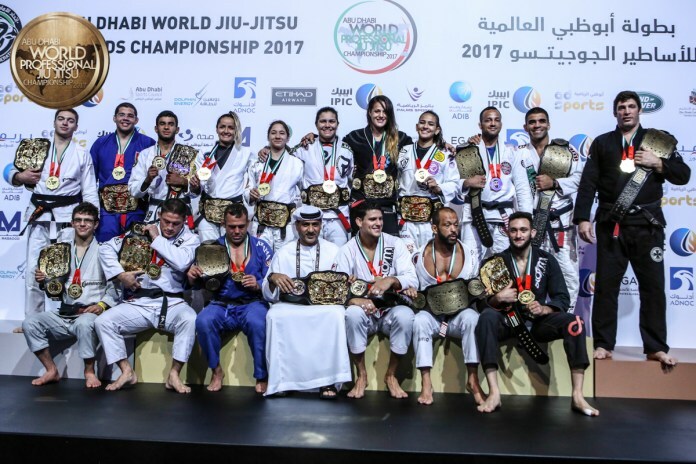 He became the world champion in his age group at the Abu Dhabi World Jiu-Jitsu Championship 2017. As a reward for the victory at the Abu Dhabi World Professional Jiu-Jitsu Championship, 14-year-old Serhii Krasovskyi and Serhii Rusnak will receive monthly financial support from the team’s sponsor “BioTexCom” company. At the Abu Dhabi World Professional Jiu-Jitsu Championship 2017 with the sponsorship of the MC “BioTexCom” Ukraine was presented by 4 athletes: Yaroslav Blazhko – Blue Belt, European No-Gi IBJJF 2016 Champion (Rome, Italy), European IBJJF 2017 Champion (Lisbon, Portugal), 6-time champion of Ukraine; Roman Nepota – Blue Belt, Silver medalist of the European IBJJF Championship 2017 (Lisbon, Portugal), 6-time champion of Ukraine; Serhii Krasovskyi – Gray Belt, World UAEJJF 2017 Champion (Abu Dhabi), 2-time champion of Ukraine; Serhii Rusnak – Gray belt, World UAEJJF 2017 Champion (Abu Dhabi), 2-time champion of Ukraine. But this is only the beginning and the Ukrainian champions will not stop. Sportsmen are waiting for the Asian Open Jiu-Jitsu IBJJF Championship which will be held in early September in Tokyo, Japan. “BioTexCom” confirmed the funding of the Ukrainian team and it means that soon at the homeland of jiu-jitsu people will know about the Ukrainian athletes!